Grindstone Coworking and Triggers Media partnered up to create a monthly marketing event called Waffle Wednesday. Grindstone Coworking is a shared office space in Edinburg, TX. The first of its kind in the Rio Grande Valley, the Grindstone sought to increase member engagement with a new marketing series that would bring marketers, freelancers and independent workers together under one roof. Triggers worked closely with Grindstone Coworking to capture the essence of the coworking space. This led to the creation of Waffle Wednesday, a monthly marketing meetup that brings local marketing specialists together. 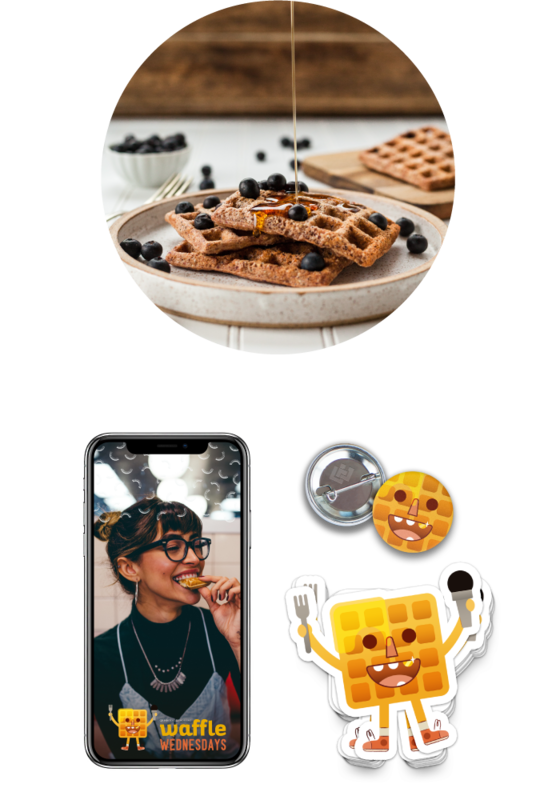 Triggers’ creative team was tasked with designing a unique, one-of-a-kind logo for Waffle Wednesday, while our video production team was commissioned to create short highlight videos of the events for promotion on Grindstone Coworking’s social media channels.